Laser Lipolysis is a minimally invasive way of removing small localised fat deposits. It is a newer laser assisted liposculpture procedure first used around 2004 for the removal of 'saddlebags', 'love handles', and 'double chins' etc. It can effectively reduce areas of fat resistant to diet or exercise whilst reducing the risks associated with traditional procedures such as liposuction. It is currently available in the UK using mainly the Smartlipo® laser, although more and more clinics are now offering a variety of other devices including the OSYRIS Pharaon Laser Lipolysis System and the CoolTouch CoolLipo™. The procedure is performed by introducing a fine fibre-optic probe under the skin which delivers low-level laser energy - this selectively breaks up fat cells transforming them into an oily substance that is absorbed and eliminated by the body over the following weeks, or sucked out at the time of the procedure. Private costs for Laser Lipolysis treatment depends on the size and number of area(s) being treated and can range from £1,500 – £4,500. Cellulaze is a minimally invasive laser surgical treatment that has proven to be effective in helping women who have problems with the appearance of cellulite. Cellulaze is recognised as the only cellulite removal procedure that is effective in the prevention and reparation of cellulite. The Osyris Pharaon Lipo® Laser device utilises the most powerful Diode Laser for laser-assisted liposculpture or laser lipolysis treatment to remove stubborn areas of fat. SculpSure, developed by Cynosure offers non-invasive lipolysis (fat reduction) of the abdomen and flanks. It uses state of the art technology called hyperthermic laser treatment. After puberty, fat cells (adipocytes) remain constant in number and change their size and volume according to the lipid (fat) content the body decides to store. Sometimes this fat assumes abnormal proportions in well-defined areas, such as under the chin, upper arms, thighs, hips and waist - even when your body weight is normal for your height. Attempts to reduce these localised fat deposits by diet or exercise alone are often unsuccessful. Over the years, a variety of surgical interventions have been used to remove localised fat deposits including suction-assisted lipoplasty, ultrasound-assisted liposuction, and power-assisted liposuction. Although these procedures can be effective in reducing relatively large fat deposits, they do result in a lot of bruising and swelling in the treated area, requiring several days to recover; and they can cause some permanent numbness of the skin due to nerve damage. 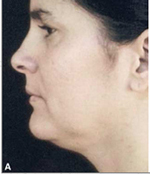 In addition, very small localised areas of fat deposits can be more difficult to treat with conventional liposuction techniques. Laser Lipolysis is a liposculpture procedure that is generally more suitable for the removal of cmaller stubborn pockets of fat such as 'saddlebags', 'love handles', and 'double chin' etc. It can effectively reduce areas of fat resistant to diet or exercise whilst reducing the risks associated with traditional procedures such as liposuction. If you are considering Laser Lipolysis the following information will give you a basic understanding of the procedure. It can't answer all your questions, since a lot depends on the individual patient and the practitioner. Please ask a practitioner about anything you don't understand. What is Laser Lipolysis and how does it work? Laser Lipolysis, also marketed as Laserlipolisi™ is currently available in the UK using mainly the Smartlipo® laser, although you will also find more and more clinics offering a variety of other devices from differing manufacturers now that the market has grown. Other examples include the OSYRIS Pharaon Laser Lipolysis System and the CoolTouch CoolLipo™. Laser Lipolysis is the latest, minimally invasive way of removing small localised fat deposits. In general, we will be describing what to expect from treatment using the Smartlipo® device as this is the most common. Please ask your practitioner directly about any other devices that they use. The procedure is performed by introducing a fine fibre-optic probe under the skin which delivers low-level laser energy - this selectively breaks up fat cells (a process known as lipolysis) transforming them into an oily substance that is absorbed and eliminated by the body in a natural manner over the following weeks. In general, no fat is aspirated or “sucked out” of the body, (which helps to avoid the damage to blood vessels and nerve endings often associated with liposuction), however it has been noted that in some cases it can be more beneficial to the speed and results of the treatment for suction to be used. In addition, the low level laser energy helps to stimulate collagen production in the skin resulting in skin tightening. What happens during a Laser Lipolysis treatment? Careful discussions regarding your reasons for wanting treatment are very important before you undertake any procedure. You must also make sure that this treatment can deliver what you want and how you would like to look afterwards. Your practitioner should be able to answer all these questions. A medical history should also be taken to make sure that there are no reasons why you shouldn’t undertake treatment. You may be asked to read detailed information and sign a consent form which means that you have understood the potential benefits and risks associated with the procedure. A local anaesthesia will be used in the area to be treated before commencing; therefore you will remain comfortable and awake throughout the procedure. A very thin cannula (1mm wide hollow metal tube) is pushed through a small incision in the skin. The laser probe is introduced into the cannula and laser light is then pulsed into the fatty tissue where the fat cells are transformed into an oily sludge-like substance or "debris” which is eventually eliminated by the body. Increasingly practitioners are offering aspiration or suction of the released fat after the laser lipolysis procedure to speed up and enhance results achieved with this procedure. The length of the treatment depends on how many areas you’re having treated, and whether or not suction is included - but generally the procedure takes between one and two hours. More often than not, one treatment session per area is considered to be enough, however it all depends on the amount of fat to be removed, and if it is felt that the final result (after 4 – 6 months) needs improving on or not. On average a total of 500mls (about the size of a can of coke) can be realistically removed in one treatment session. The results are seen gradually over a number of weeks, though it may take up to six months for the maximum effects to be seen. This is because your body continues to process and naturally remove any released fat remaining from the procedure until none is left. However, right from day one most people can feel the treated area(s) as already having less fat when squeezed between the fingers. In addition, because the laser releases heat when it is fired, it results in gradual skin contraction in the treated area, so you are not left with loose skin once the fat has disappeared. In general laser lipolysis is only recommended for the removal of up to 500mls of fat - hence it tends not to be as effective as liposuction where larger areas - ie 1 litre or more - can be removed in one procedure. However, it is possible to undergo multiple procedures using laser lipolysis (every 6 months or so) in order to remove fat from different areas or enhance the results in previously treated parts of the body. How long will it take to recover from Laser Assisted Lipolysis? You may be required to rest in a room afterwards for an hour or so following treatment, but normal activities can usually be resumed a day or so following the procedure. It is best to avoid vigorous physical activity or sports for one to two weeks after this procedure. What are the risks and potential complications from Laser Lipolysis treatment? The actual procedure is generally well tolerated, due to the local anaesthesia. You may feel a tugging sensation during treatment but should not feel pain. People may experience minor swelling, bruising or tenderness for a few days or weeks following treatment - this tends to be worse if suction is used during the procedure. What should you do after a Laser Lipolysis treatment? It is very important that you follow the advice of your practitioner carefully after any Laser Lipolysis treatment to help to ensure the success of the procedure and reduce the risk of complications. keep the compression bandage/clothing supplied on for the advised period - usually 24 – 48 hours for treatments on the face and under the chin, and 7 -10 days in other areas. contact your practitioner immediately if you notice any signs of infection or if you experience heavy bleeding or a sudden increase in pain. Who should not have a Laser Lipolysis treatment? Women who are pregnant or breastfeeding are not suitable candidates. Laser Lipolysis is not a cure for obesity. If you are generally healthy and not obese, Laser Lipolysis could help you to re-contour your body with minimal risk. 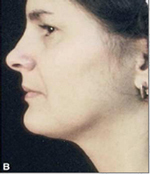 The procedure works best on small areas such as the chin, “love handles”, “saddle bags”, knees, inner thighs, calves etc. As Laser Lipolysis is generally used for removal of smaller pockets of fat, it is important that you are realistic as to what can be achieved using this procedure. In general, if you have a Body Mass Index (BMI) over 30, you will not be a suitable candidate for Laser Lipolysis (unless you are a body builder). To calculate your Body Mass Index - please visit British Obesity Surgery Patient Association website - here. Who can perform Laser Assisted Lipolysis? Only suitably trained and qualified doctors and surgeons should perform a Laser Lipolysis procedure. Is Laser Lipolysis available on the NHS? You will not be able to access this treatment via the National Health Service (NHS). What is the average cost of Laser Lipolysis? Private costs for Laser Lipolysis treatment depends on the size of the area(s) being treated, and the number of areas that you have done in one treatment session, and can range from £1,500 – £4,500. Typically one area of the body, such as the chin, the upper arms (bingo wings), the knees or the thighs will cost between £1,500 and £2,000. Treatments session covering two body areas may cost between £2,500 - £3,500 and up to £4,500 for three areas in one go. Laser Lipolysis is not a treatment for obesity – it is designed for the reduction of stubborn areas of fat in conjunction with skin tightening in people who are a normal body weight. The results give rise to a more harmonious body shape in a short time, without the secondary effects of more aggressive procedures. Laser Lipolysis treatment with Smartlipo® on the outer and anterior thigh, before and after (3 months post treatment). Click for ALL Laser Lipolysis clinics in the UK & Ireland registered and verified by Consulting Room.